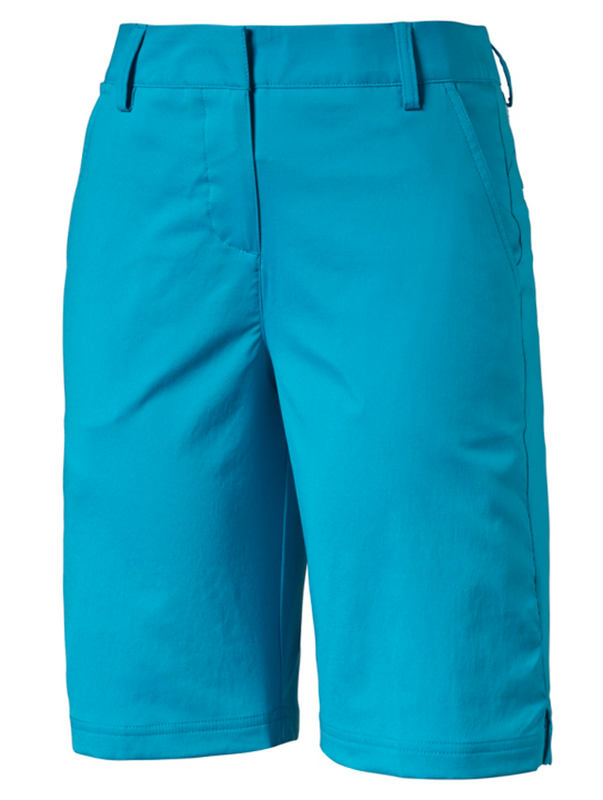 Puma's Stripe It golf shorts for men include dryCELL moisture-wicking finish and plenty of pockets. PUMA Cat Logo at back left pocket. 18 Hole Logo at back right pocket. Puma's designers left no stone unturned when they crafted their women's tech Bermuda golf shorts. 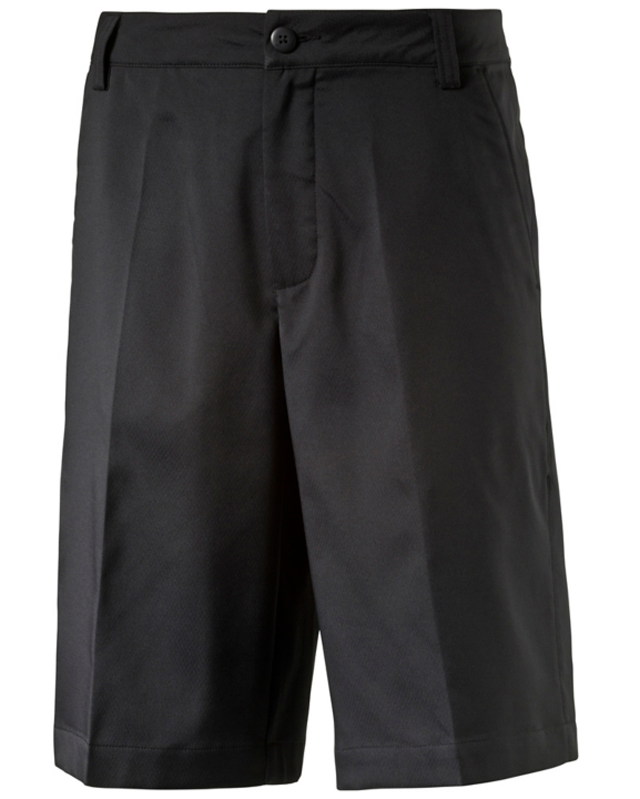 From the moisture wick-away dryCELL material to the UV-blocking fabrication to the flattering fit, these golf shorts will keep you cool and dry even on the hottest golf courses. Another Puma women's tech Bermuda golf short but this one's in beige! Also features Puma's moisture wick-away dryCELL material, UV-blocking fabrication, and flattering fit. Puma's women's performance skirt features stretch dryCELL and moisture wick-away fabric. The A-line silhouette provides fantastic comfort through your swing. 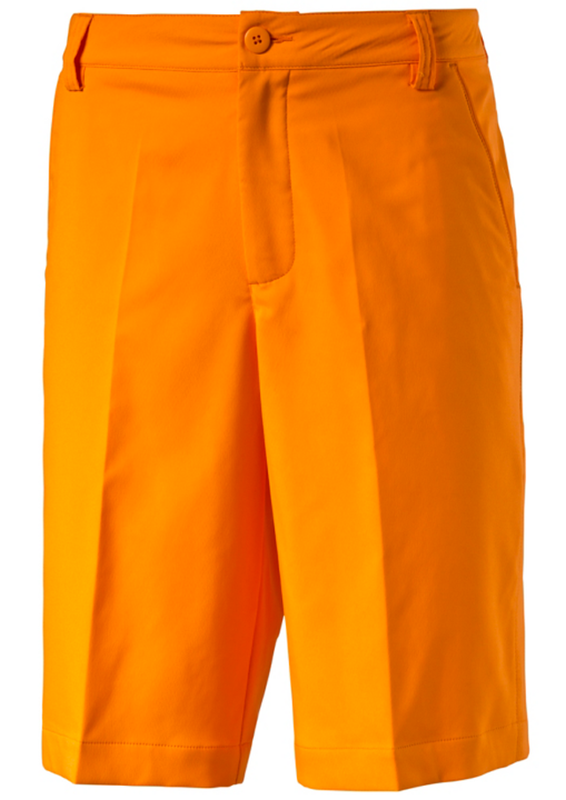 And it comes with an attached knit capris for cooler rounds in the spring and fall. 18 Hole tab at back waistband. Puma's women's performance skirt also comes in black! 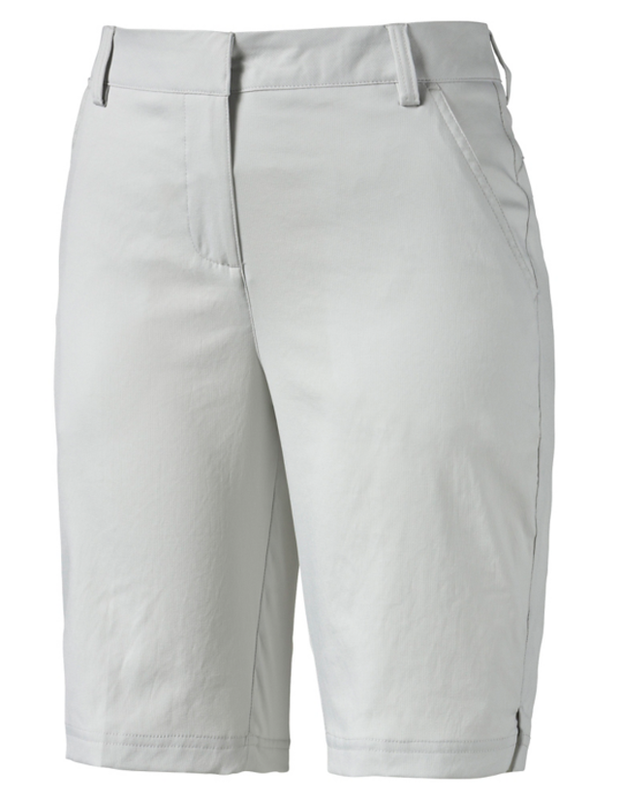 Puma's women's Pounce golf skort features moisture repellent wick-away fabric and UV protection. PUMA Cat Logo at back left pocket / 18 Hole Logo at back right pocket. 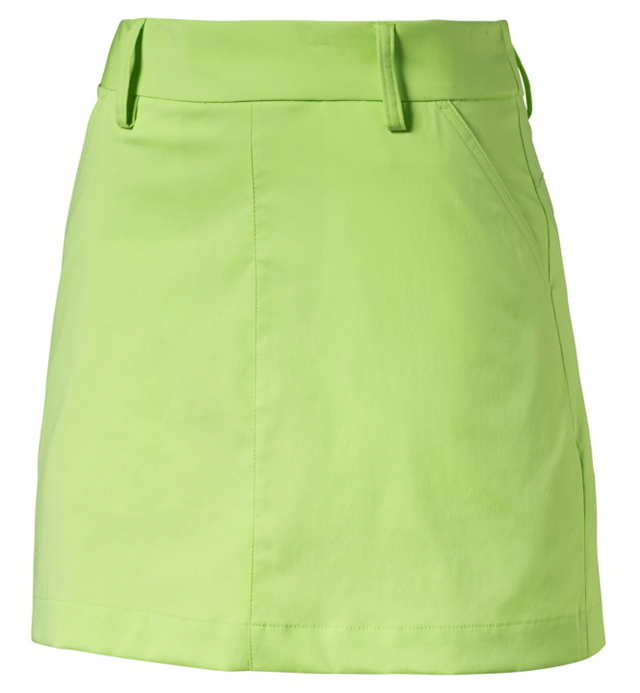 Puma's solid knot golf skirt is a great mix of style and functionality. PUMA’s golf shorts, skirts, skorts, and pants are worn by PGA pros like Rickie Fowler, Lexi Thompson, Will MacKenzie, and Blair O'Neal. 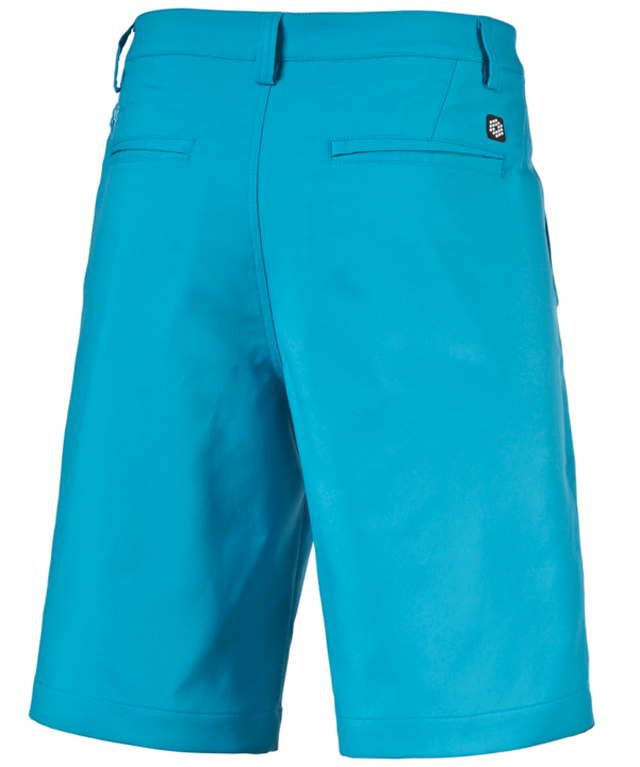 Each pair of golf shorts and pants include moisture-wicking fabrics, dryCELL technology, and more pockets than a billiard hall! North Iowa Golf either stocks or will order Puma Golf Shorts & Pants in all popular designs. Stop by North Iowa Golf and check out our huge selection or Call for Pricing today!